The rooms provided by the Regal Residency are very comfortable and have a lot of facilities. The rooms are quite spacious and have been provided with large windows. The windows allow the guests to enjoy bright sunlight and awesome views. 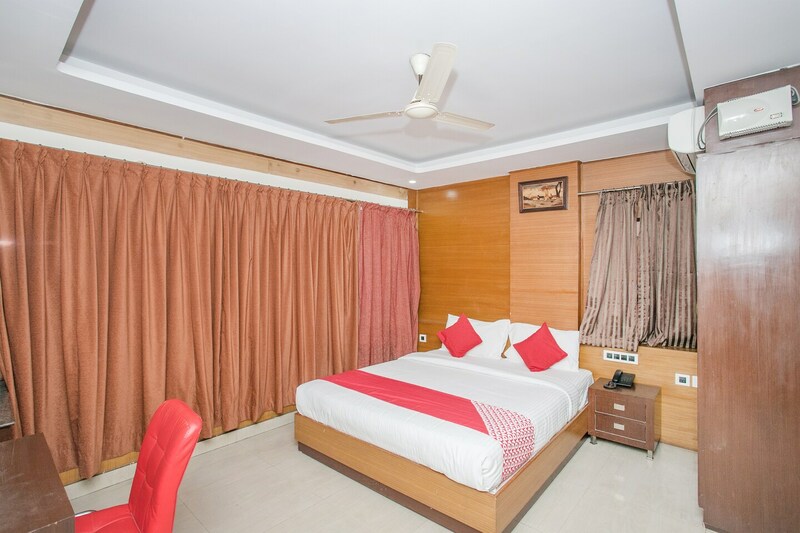 The rooms are well-furnished and the wise use of lights in the room, as well as the false ceiling, makes the rooms well-lit. A lot of woodwork is involved in the interior decor of the room. Some rooms have been decorated with paintings which further enhances the homely feeling of the rooms. The extra facilities provided by the hotel are free wifi, a constant power backup supply, parking provisions, card payment in all forms, and CCTV cameras. There is a gym within the hotel which can be used freely by the guests as and when required.